With 45 years of experience in international education, Istituto Lorenzo de’ Medici (LdM), is one of the most distinctive and well-established study abroad institutions in Italy. LdM prides itself on offering academic and professionally-oriented courses designed to complement a variety of study abroad programs, as well as to enrich students’ knowledge, education and skills. 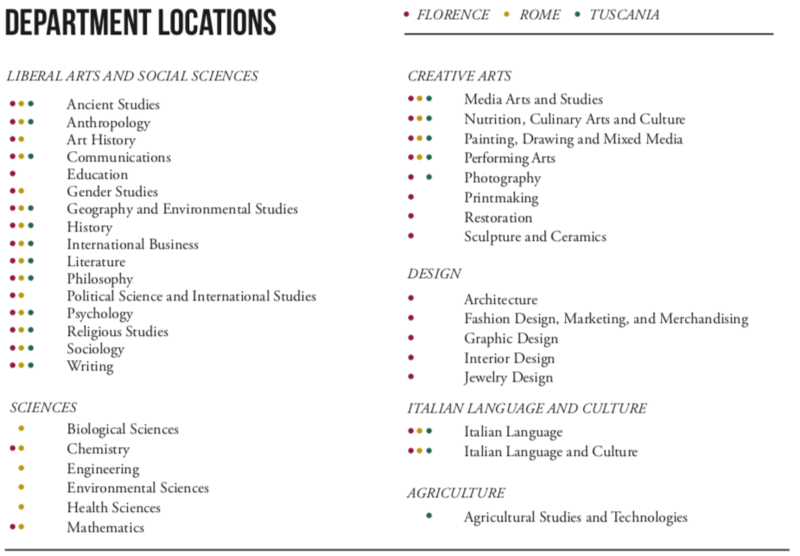 Students may choose from 600 different courses in 38 subject areas, which are taught in English at LdM’s three locations: Florence, Rome and Tuscania. At each of LdM’s three sites, the educational opportunities are deeply rooted in the surrounding environments, allowing students to experience first-hand the inspiring culture of both historical and contemporary Italy. Courses fall under six main academic divisions: Liberal Arts and Social Sciences, Creative Arts, Design, Sciences, Agriculture, and Italian Language and Culture. LdM integrates formal, university-level learning with an emphasis on personal growth, individual engagement, and community responsibility. Istituto Lorenzo de’ Medici credit-bearing internships offer the possibility to learn different aspects of working in Italy, a country known for its artisan and small business structure. Students get to know the characteristics and structure of the Italian workplace. 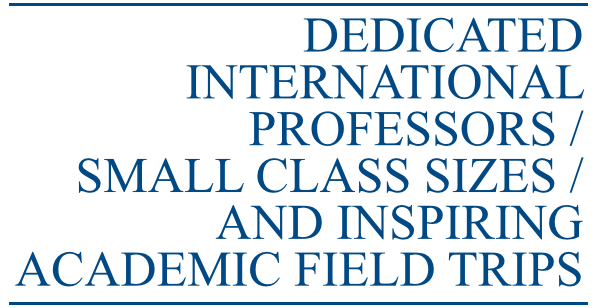 LdM students in Florence can also apply to the Professional Opportunities Program, which gives student the opportunity to engage in a non-credit experiential learning experience. A standard 3-credit internship corresponds to a minimum of 135 hours, including journals and papers. During the semester, the internship requires 10-12 hours per week in the company, excluding the first/last week of classes and the break. Note: the internship schedule during mid-term exams week canoe reduced upon the student’s request, with the company agreement, as long as the requirement of 135 total on-site hours is met. 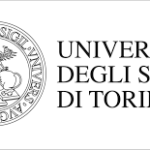 Istituto Lorenzo de’ Medici is affiliated with institutions world-wide and is registered and authorized in Italy by the Ministry of Education, (December 2, 1989). 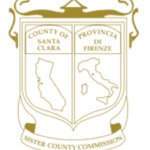 Istituto Lorenzo de’ Medici is approved by the US Middle States Commission on Higher Education as a branch campus of Marist College, with particular note on the quality of LdM facilities and academic environment. The LdM campuses in Florence, Rome and Tuscania are approved by the U.S. Department of Veterans Affairs. LdM is also accredited by the CSN of the Swedish government, by the Icelandic Student Loan Fund (LIN), and it has been awarded the European quality certification ISO 9001:2015 by EQA (European Quality Assurance).